Dr. Hite hand a free backpack filled with school supplies to a student. 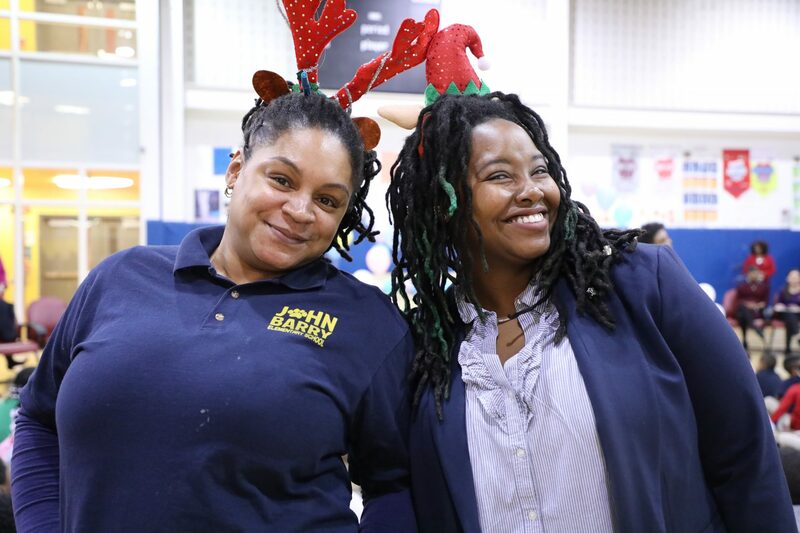 PHILADELPHIA — The School District of Philadelphia, in partnership with The Kids In Need Foundation, today helped surprise approximately 400 students at Commodore John Barry Elementary School with new backpacks and school supplies, just in time for the winter break. 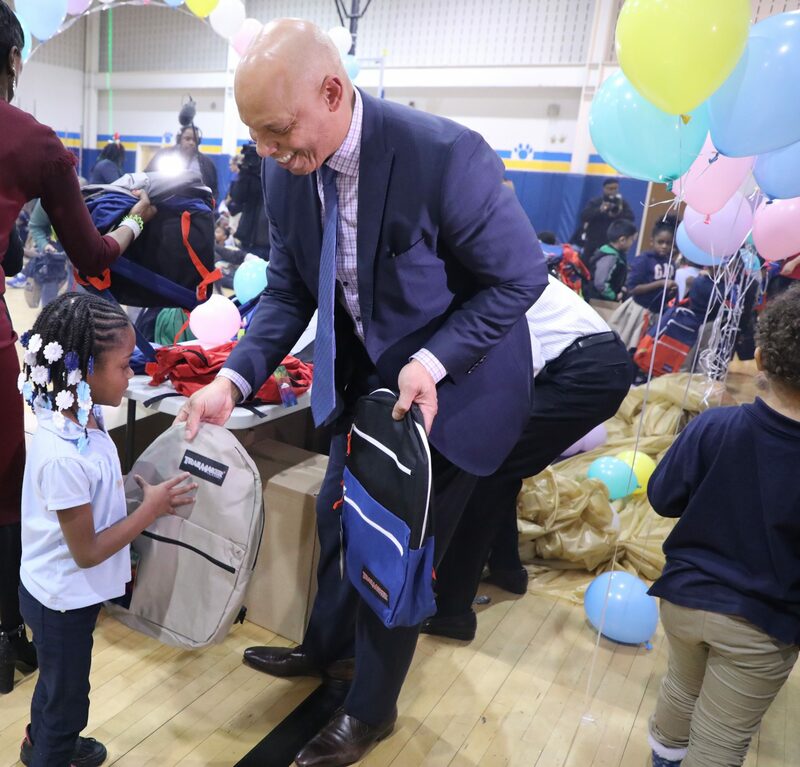 The event was part of The Kids In Need Foundation’s School Ready Supplies Program, which is providing 25,000 backpacks to schools across the District this holiday season. One of the major aims of the Foundation is to prepare students to be ready to learn when they return to school in January after the winter break. The Kids In Need Foundation works to ensure every child is prepared to learn and succeed by providing free school supplies nationally to students and teachers, and has distributed more than $900 million in supplies to children. More information can be found online at KINF.org.